She’s letting me share the recipe for her Slow Cooker Pizza Rolls from her book. I think you’re going to have fun with it. I love making bread in my crockpot for dinner parties because of all the ohs and ahs. Do you already know Ginny McMeans from her blog, Vegan in the Freezer? This recipe is from her very first book, The Make Ahead Vegan Cookbook, just came out. I’m so excited for her! Did You Know You Can Make Bread in Your Slow Cooker? I know this just blew your mind! Well, unless you have already made some. 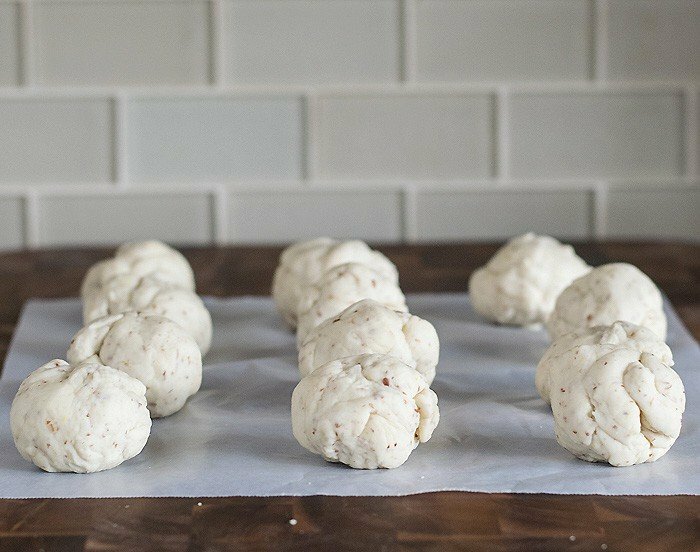 It’s a great way to make rolls for holidays, because you don’t need more oven space. in place of regular unbleached flour because it was already on the counter. Yes, I really can be that lazy! After the liquid is mixed, you all of the flour and use the dough hook attachment to knead it into dough. Then you divide the dough into 12 equal-sized balls. Or, if you’re more like me, it will be into varying sizes that are sorta close to each other. 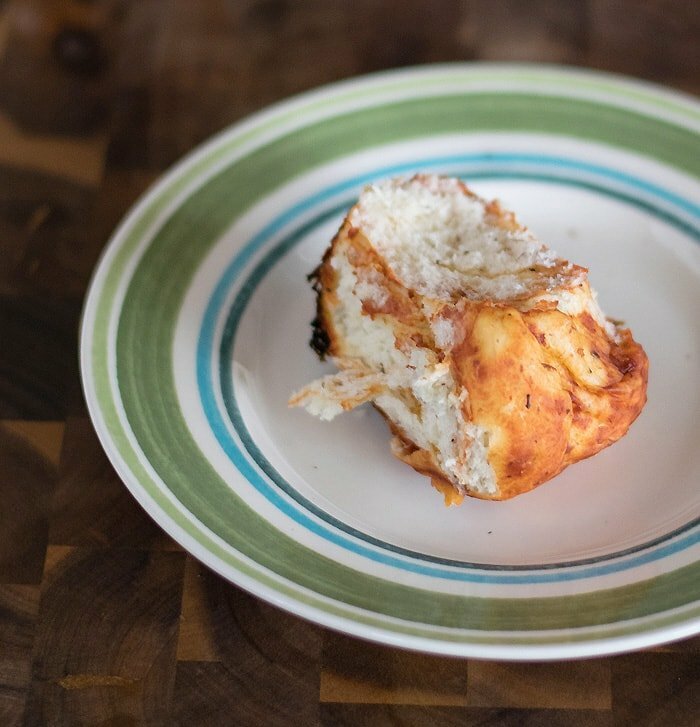 Make this into Slow Cooker Pizza Monkey Bread by making 24 or more smaller dough balls. and I love it! No more crooked lines for me and I love that I can pull out a sheet and go. I took 2 pre-cut sheets and made an x in my 6-quart crock of my Hamilton Beach 3 in 1 slow cooker. These are getting pretty rare these days and the price is crazy on Amazon. If you see a 3 in 1 at a thrift store or yard sale, snap it up. It’s one of my favorites because it has a 2, 4 and 6-quart crock that are interchangeable with one cooking base. Or you can get the new Hamilton Beach right size slow cooker on Amazon. Then all you have to do is dip the dough balls in pizza sauce and place in the paper-lined crock. You cook on low for 1 hour for proofing and then you cook on high for 50 minutes. I put some folded paper towels in between the lid and the crock to absorb the moisture and mine were ready a little bit sooner because of that. The idea of pull-apart bread actually pulls a person in. Make it with pizza flavors and you just can’t lose. - GM from The Make Ahead Vegan Cookbook printed with permission. In a small bowl, add the yeast to the warm water and stir well. Set aside. 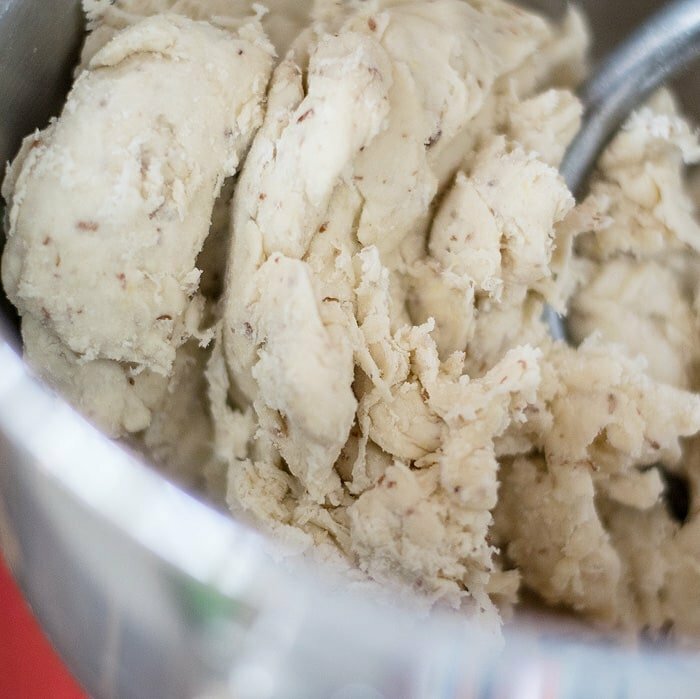 In a stand mixer fitted with a paddle attachment, combine the milk, coconut oil, sugar, salt, and egg substitute. Beat at low speed to stir and pour in your yeast mixture. Let it stir until all is combined, scraping down the sides if necessary. Change to a dough hook attachment and add the flour. Let mix on low speed for 6 to 8 minutes. The dough will be a little sticky but that should be okay. If you can’t work with it, add a touch more flour. Pat into a ball and set aside. 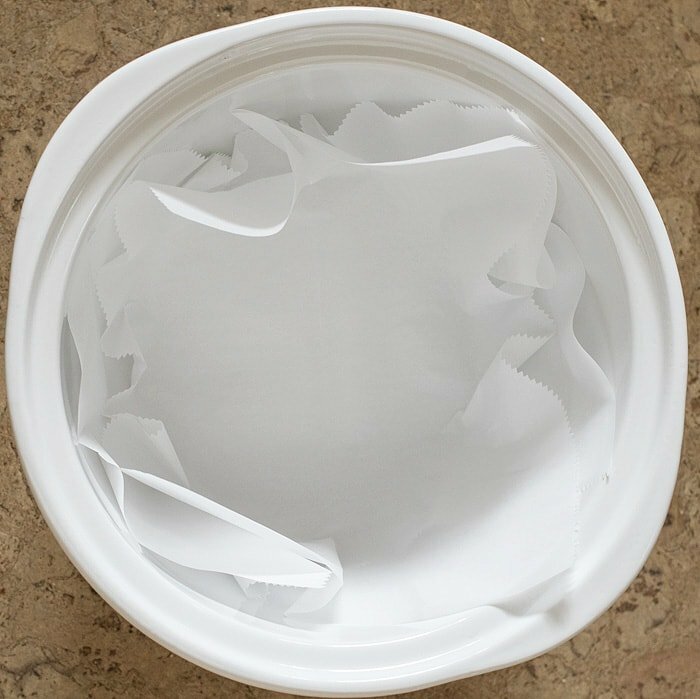 Line a 6-quart slow cooker with parchment paper. I cut a larger circle so that it would go up the sides by about 3 inches. Then I snip vertically down the sides, all the way to the bottom, in about six places, so that the sides overlap and lay flat. Place some of the pizza sauce in a bowl. Cut the ball of dough into 12 pieces. Roll each piece into a ball and use your fingers to roll pizza sauce all over the ball. Lay in the slow cooker, on the parchment paper, barely touching the sides. Continue with all the balls, to cover the bottom of the slow cooker in one layer. The balls may not touch in places but they will rise nicely and fill in any empty areas. Cover and cook on LOW for 1 hour for rising. Then, turn the setting to HIGH and cook for 30 more minutes. Brush more sauce, lightly, on the tops of the rolls and cook another 20 minutes. Remove the rolls by grabbing the parchment paper by the sides and lifting. Let rest on a wire rack. Serve warm or cold and with extra pizza sauce for dipping, if you like. Storing in the refrigerator:After cooling completely, store in a resealable plastic bag in the refrigerator for up to 1 week. Freezing:After cooling completely, freeze in a freezer bag for up to 3 months. To serve, defrost in the refrigerator for a few hours. The rolls are ready to eat any time after defrosting. Vegan Blueberry Lemon Cake from Your Slow Cooker! I have carbs on the brain looking at this recipe! These look incredible. And vegan to boot! I am intrigued by the coconut oil. You had me at pizza 😉 But seriously, I Can make these in the slow cooker?! That’s genius! What a great idea, these look so good! I recently reviewed Ginny’s Book, too! I love all the recipes and this book. So many amazing, beautiful and easy to make recipes. 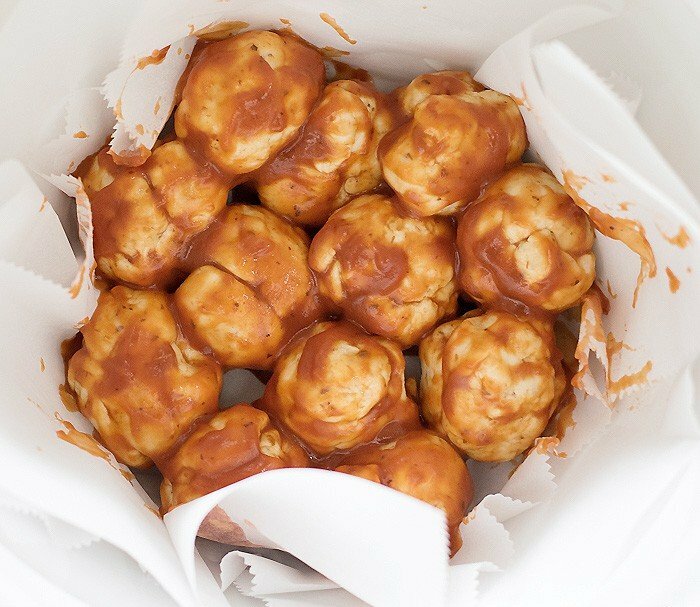 making these in a slow cooker?! Sold! This recipe looks great! Do you think it would work alright with whole wheat flour? I imagine the bread flour and AP flour is delicious, but I don’t regularly buy AP and would prefer not to. I have whole wheat, whole grain spelt, and whole wheat pastry flour on hand. Thanks for any tips! I completely understand. It’s not my recipe, but I think that whole wheat or spelt would work fine. You may have to add a little extra liquid or use a little less flour. You don’t want to use pastry flour in a yeast bread. 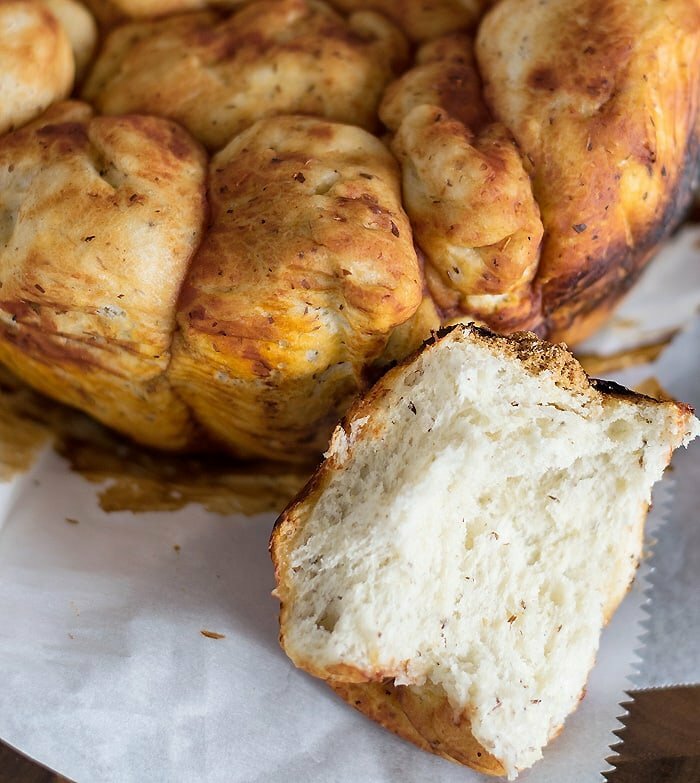 I love these kind of pull apart breads… might have to try this one for a party we have coming up. I’d love to get a look at this book, thanks for sharing! I love Ginny’s book. I have review coming up as well. 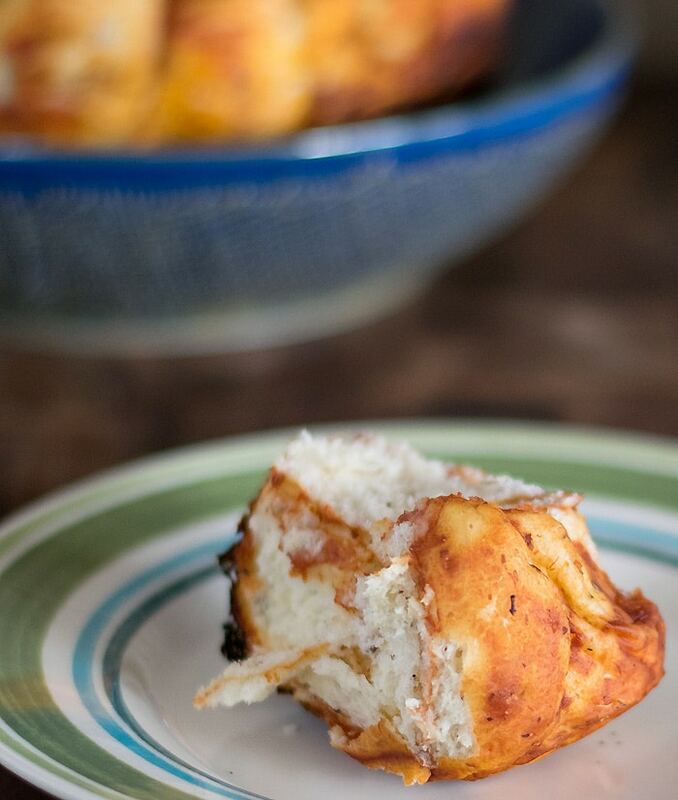 I haven’t yet tried these pull apart rolls, but they are on my list!! They look so good! I am so excited to make that pull-apart bread! I’m reviewing Ginny’s book tomorrow and I made her spinach artichoke dip. SO GOOD! Great step-by-step pictures. Will this recipe work for gluten free bread flour? I would not use this recipe and just sub gluten-free flour. You could take your favorite gluten-free bread recipe and try cooking it in the slow cooker, though. I should NOT have read this recipe on an empty stomach. Dang, this looks good and what a great cookbook! I love pizza so I’m sure I will love this. This recipe will be saved and made AFTER I finish this 30 day detox. I think it’s going to be the first bread I have. Can’t wait! I was engrossed in her book earlier today and am going to make these tomorrow. I have never tried making bread in my slow cooker. Ahhh I remember seeing this amazing recipe in Ginny’s book and drooled so much, amazing recipe and review Kathy! All of Ginny’s recipes look so tasty! Love these pizza rolls. Perfect for dinner or an appetizer! Delicious! Love the looks of the recipe!! I realize this isn’t your recipe, but what do you think about putting vegan cheese in the middle of the muffin? Would it make it too soggy? Trader Joe’s vegan mozzarella shreds is really tasty and melts really quickly so that’s what I use. Would a slower melting vegan cheese be better since it’s in the slow cooker? You know how inquiring minds are! Thanks for any suggestions you or your fans have! I think it’s worth a try and would probably work. I haven’t tried it, so I can’t offer you a guarantee though.